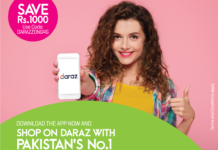 Daraz.pk just begins Black Friday sale 2017 and announced up-to 86% off on almost all products. And different product categories will be unlocked everyday. But the question is, is there any genuine sale on all item’s? or it’s just marketing tactics to motivate people to buy more frequent. Few years back we have written an article on AliExpress 11.11 sale, that how they are cheating with customers. And just trying to portray that there are big sale, but actually there isn’t. Now we have seen same things are going on in Pakistan e-commerce, which is just growing not even grown up. To check about Daraz.pk Black Friday sale 2017, we have added many products in our favorite list before sale. And noted down the price of all saved items. And now we have just amazed to see that all product prices are shown as double and then reduced the price to show that there is a discount on that item in sale. This method isn’t new, this is happening globally and now in Pakistan the major online stores have also adapted it. There is some good discount on different products but many sellers or Daraz.pk itself raised the prices and then shown it lower and people are just pleased to see that the price is dropped down so much in sale and they are more willing to pay for it. It’s our honest suggestion to everyone not to be crazy for these sales festivals, search before to buy anything. If you find some good deals or discount then do share your views with others via commenting below. Check out the below images which is being cropped from our Daraz.pk favorite list. This Silver Black Ring for Men is actually at Rs.799 and this is the actual price of this product and now in Black Friday sale the price is shown at Rs.1,499 and giving 47% discount on it. Wow amazing… you loved that discount and ready to buy it. Now lets see Black Fleece Coat for Men, which is actually priced at Rs.999 and now in sale it is Rs.1,999 and giving 50% off. There isn’t one rupee discount on it, all are fake. Now check Casio MTP-1314L-7AVDF Analog Wrist watch which is available at Rs.2,799 and now in sale it is Rs.3,199 and then on discount its back at there normal price Rs.2,799 and discount is zero. Now check this one, The TPU Silicon Back Case for Samsung Galaxy Note 5 which is available at Rs.89 and in sale it is Rs.500 and then giving discount of 82% and selling it at Rs.89. And in fact there isn’t any sale or discount. FOGG pack of two deodorant is available at Rs.999 and in sale it is shown as Rs.1,500 and giving a discount of 33% and then selling it in original price of Rs.999. 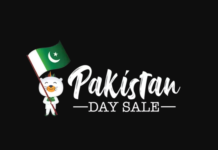 Unfortunately, we didn’t see any major discount on all items, and the products which we have added in our favorite list are all selling as showing fake sale or discount on it. This is the example of Daraz.pk and we didn’t checked other online stores Black Friday sale. If you find some good discount along with fake ones, then do share your views. Update: The Casio watch is now on sale. You can avail some discount on it.